Star Millefiori Assortment - 96 Coe by Delphi Glass at Designers Artists. MPN: X94632. Hurry! Limited time offer. Offer valid only while supplies last. 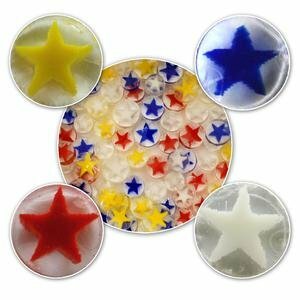 Your a Star with this Millefiori Assortment These colorful patterned glass slices can add a burst of excitement to any fused or flameworked project.